 Iran- Jan. 23, 2019 - Latest reports from members of the Iranian opposition People's Mojahedin Organization of Iran (PMOI/MEK) Resistance Units and the activities of this vast network inside Iran. Members of Resistance Unit 709 in Isfahan set fire to the entrance of a building belonging to the Revolutionary Guards (IRGC) Basij paramilitary forces. In Esfarayen of Khorasan Province, northeast Iran, members of Resistance Unit 500 set fire to a poster of Iranian regime Supreme Leader Ali Khamenei and regime founder Khomeini. Members of Resistance Unit 118 in Faruj of Northern Khorasan Province set fire to a Khamenei poster. The unit members were chanting “Death to Khamenei – Hail to Rajavi,” referring to Iranian Resistance leader Massoud Rajavi, and Mayram Rajavi, President of the opposition National Council of Resistance of Iran (NCRI). In Khorramabad, western Iran, members of Resistance Unit 424 were chanting “Death to Khamenei – Hail to Rajavi” while setting fire to a Khamenei poster. Members of a resistance unit in Urmia, northwest Iran, set fire to a Khamenei/Khomeini poster on the Urmia-Khuy highway. Members of Resistance Unit 150 in Shadegan, southwest Iran, set fire to a large Khamenei/Khomeini poster. In all revolutions, we have witnessed how the ruling regime’s resort to utter crackdown and threats. Although all such examples have led to the regime’s overthrow through a massive and revolutionary movement, all regime’s consider themselves to be an exemption. With conditions inside Iran and abroad changing dramatically, the PMOI/MEK implemented its new strategy of launching resistance units. Numerous teams, forming a huge network, are now in direct contact with the Iranian society.